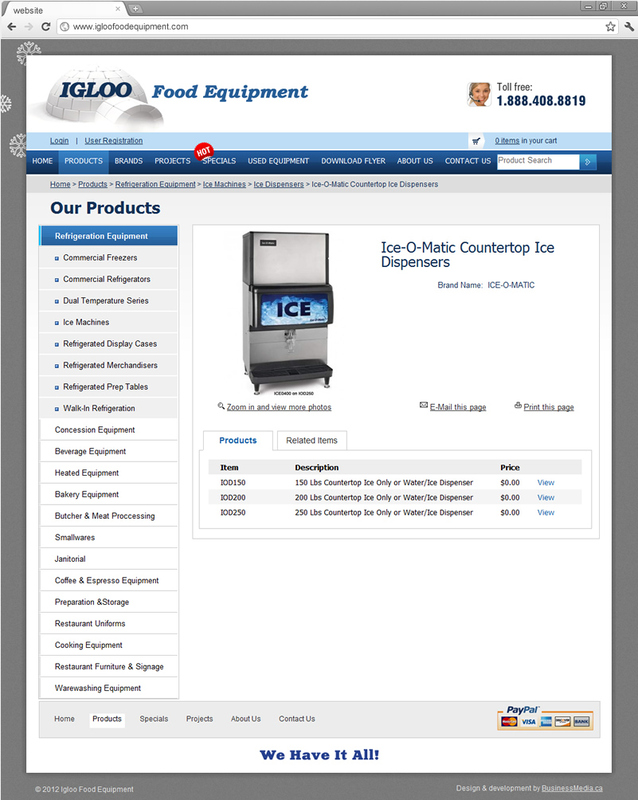 Servicing the needs of Toronto restaurants, bakeries, grocery stores, hospitals, hotels, convenience stores, schools and other types of foodservice and hospitality establishments, Igloo Food Equipment is a leading importer of refrigeration equipment. 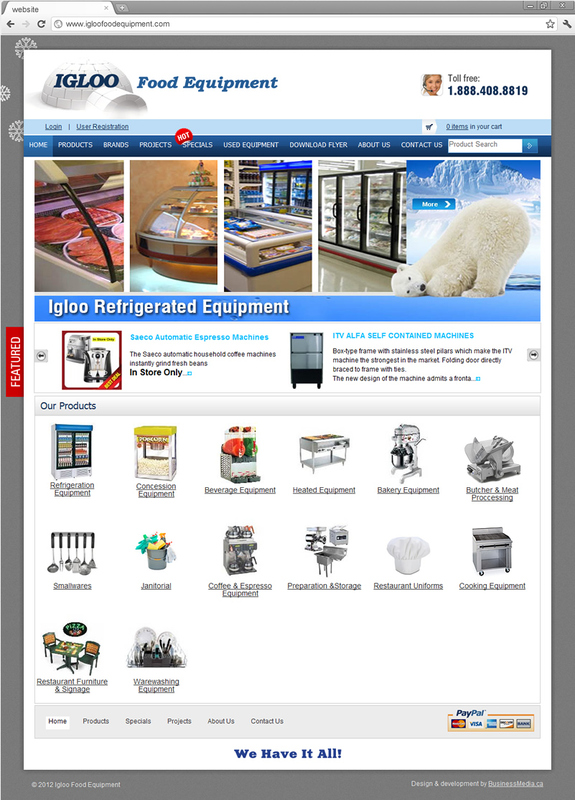 The manager of Igloo approached us to design and develop a well-organized online catalog website as a less expensive and more targeted alternative to print catalogs. 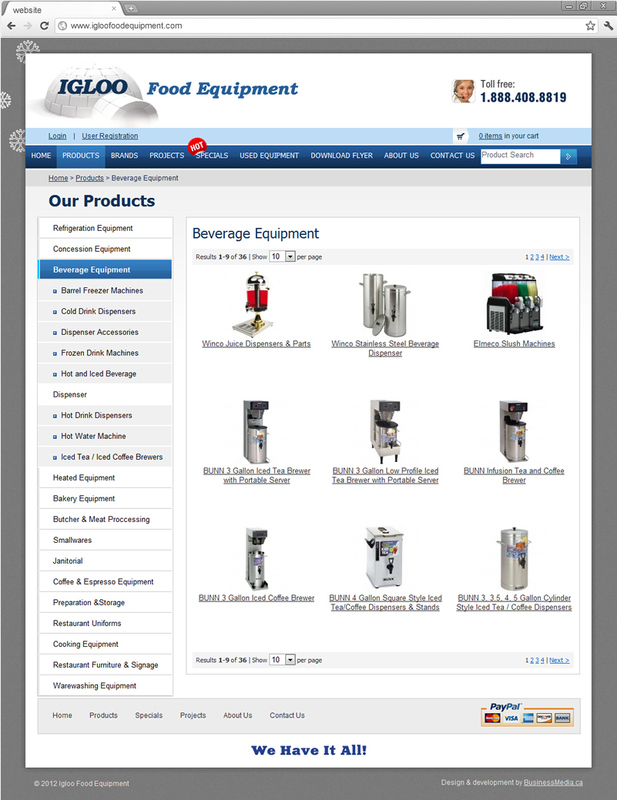 The website eliminates the costs of printing and distributing catalogs which readers may or may not read.